Why is the membership an ideal anti-ageing program? 2018 marks 5 years since we introduced “The Beauty Clinic Membership”. The idea has been to enrol people in a consistent anti-ageing and skin care regimen to correct as many as the sign of ageing (age and sun related) as we could and hopefully to prevent or slow down further ageing. At the end of 2017 we analysed the results and we are very proud that we have achieved exceptional results. The Beauty Clinic these days has a great arsenal of anti-ageing weapons which when used in combination, can address ageing at all skin levels: epidermis, dermis and subcutaneous tissue. · Ageing causes a reverse ratio with predominance of dead skin cells. The layer of dead skin does not allow the creams to penetrate to the live cells and do their job. · The epidermal skin barrier is one of the main mechanisms whereby the skin maintains its moisture. Damaged epidermal barrier causes the water to leak from the dermis. The skin appears dry and lacks elasticity. · Thin, damaged epidermis allows the dermal problems (large pores and wrinkles)to become more obvious. The Solution is to rejuvenate the epidermis and repair the epidermal barrier and remove the above problems. · I have broken capillaries and pigmentation. After the age of 20, there is a normal loss of skin collagen of about 1% per year. Sun damage causes the collagen loss to double. Defective epidermis causes the dermis to become dehydrated and lose elasticity. How do we repair the dermis at The Beauty Clinic? 1. Epidermal repair as detailed above is essential. Skin Ageing is preventable. The recently released findings of The Stanford study have shown that the early implementation of the antiageing program on the above premises will delay the genetic expression of the ageing genes. 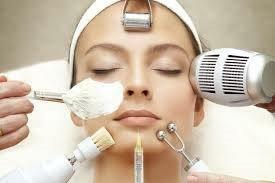 Reasonable Cost The Beauty Clinic Membership costs $320/month for 12 month membership. The membership treatments are provided at a significant lower rate than treatments provided alone. Please see one of the staff members for details. Is Beauty Membership for everyone?